We’ve all been there, loitering outside your local travel agents or endlessly searching SkyScanner.net trying to find a deal that not only sparks your imagination but doesn’t empty your savings account. Is it possible to find a deal that is achievable with the tiny amount of holiday leave you’ve got remaining and, most of all, is within budget? The balancing act between the monotony of paying bills and the excitement of adventure is a difficult one to strike. However, over the years, Rachel and I have picked up a couple of tips that will help to make your next adventure possible! This sounds simple but we all have a weakness for something, whether it be shopping, smoking, nights out or outfits for your cat. If you’re trying to save for an adventure, then you need to know what your weakness is, what triggers it and how to avoid it. For us, the problem is dinner out and cups of coffee at the weekend. We’ve spent some time combing through our bank statements and entering the information into a spreadsheet. This helps to analyse what you needed to spend and, helps to stir a sickness in your stomach when you realise how much you spent that you didn’t need to. You don’t need to deny yourself what makes you happy but if you want to cut back, shocking yourself with a breakdown of your outgoings can be just enough of a boost to motivate some saving. Rachel’s problem area is also charity shopping. The lure of a bargain find is one that she cannot ignore, but £3 here and there on a lovely outfit does add up, and so, as a result, Rachel has given up buying any clothes for 2018 – not an easy feat but one that will help fill the travel budget for the year. Travel is always the priority for us. Obviously this doesn’t mean that we live on porridge or spend our weekends reading by candle light like a Tudor peasant, but, it does mean that we have made conscious decisions to cut back. –	Shop in cheaper supermarkets. –	Plan a menu for the week and write a shopping list around what we actually need. –	Save cinema trips and meals out for special occasions. –	Take a look at your bills, especially your mobile phone bill. If you know that you can really get by with a phone that’s a couple of years old, make the switch to a cheaper provider with a rolling contract and stop paying extra for a phone that you already own. Train yourself to think about the next trip you’re taking. Always keeping this at the forefront of your mind can help to give mundane work a purpose and will make these small cut backs irrelevant when you’re hiking Machu Picchu or over indulging in cocktails at a bar in Bangkok. There’s always a temptation to walk into a travel agents and book the first holiday that looks great. Have a think about where you would like to go and price it yourself. Using sites such as SkyScanner, Kayak and Jack’s Flight Club will help you put together your ideal trip and can produce some great savings. Another great advantage is that these sites allow you to explore and look for deals to destinations that you may not have considered before. Don’t get us wrong though, obviously booking with a travel agent shouldn’t be disregarded altogether. The main advantage is that you usually only need to have enough money to pay for your flights up-front, you’re then free to pay in instalments for accommodation and tours booked through the agent. If cash flow is an issue then this is definitely a good option for you. Consider the seasonality of your trip. For example, we took a trip to Kuala Lumpur in early October. This is the start of the rainy season. Due to this, we made some great savings on the holiday compared with going during the dry season. “Idiots!”, “Toss Mongers!” I hear you shout. Of course the rainy season wasn’t preferable but we did some research first and found that October was the start of the season so, by no means as wet as it was going to get. As a result, we had a great, cheap holiday and only experienced a couple of heavy rainfalls during our time there. Check http://www.holiday-weather.com for a comprehensive breakdown of the expected weather where you’re going and consider if a couple of days of wet trainers is worth the saving. Avoiding the school holidays is key. Naturally, during school holidays accommodation and flights are going to cost you more. If this can be avoided, then dodge a bullet and book in term time. If you are a teacher…you obviously won’t have the ability to book during term time, but, you get a 6 week break in which to explore the world, and I recommend that you take full advantage of that whole period for travel and utilise the time to explore cheaper alternatives such as trains. Dig into the attic, the back of your wardrobe and the cupboard under the stairs. Traditionally filled with crap, these spaces hold a treasure chest of extra spending money. If you can decisively and unsentimentally route through these spaces you stand a very good chance of gaining some more space and finding some gems that can be sold to help fund the travel monkey on your back. When it comes to selling your old nonsense don’t forget that there are more places to unload than just eBay. Carboot sales (yard sales or flea markets to our American friends) can be a great place to sell a bulk of items and can be very profitable. One word of caution, should you choose to go down this route, is that items at a carboot do not hold the same value as they do anywhere else in the world. For this reason, they are a great place to pick up things you need (I managed to get a great pair of walking boots for 20 pence) but equally, don’t be offended when someone offers you 5p for your fantastic and prized collection of classic Kung-Fu DVDs. However, all those pennies do add up, and we have raised over £250 over two carboots alone. Choose carefully what you are going to sell and where to sell it to get the most money back. Online auctions are the best option for designer clothes, video games and any other items that you do not want to sell for change. Unlike most people, when we say that we are ‘staying local’ for a year, it means we are travelling Europe as opposed to Asia. But here’s the point, if you have a huge trip in mind, one that is going to cost you more money than you currently have, reign back on those big trips for a year. It depends on where you live the majority of the time, but wherever you are, research great places to have a staycation in. From the UK you can get to amazing and beautiful places for £30 return (Sofia, Bulgaria, to name one). Take less adventurous trips to save up for something mighty that you have always wanted to do. We hope you found these tips helpful! 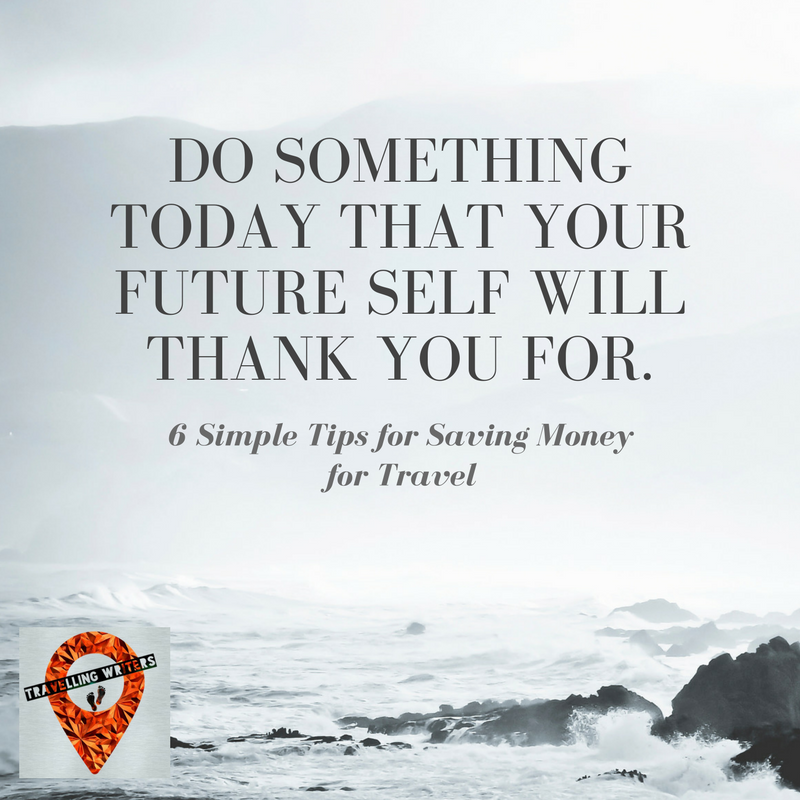 Do you have any tips that you use to save money for travel? Let us know!